With the election less than a week away, citizens are making plans to stay as up to date as possible on the election results. If you want to watch election results in Colorado in real time, there are a number of websites, social media accounts, TV stations, and live streams promising to provide current coverage of the big day. 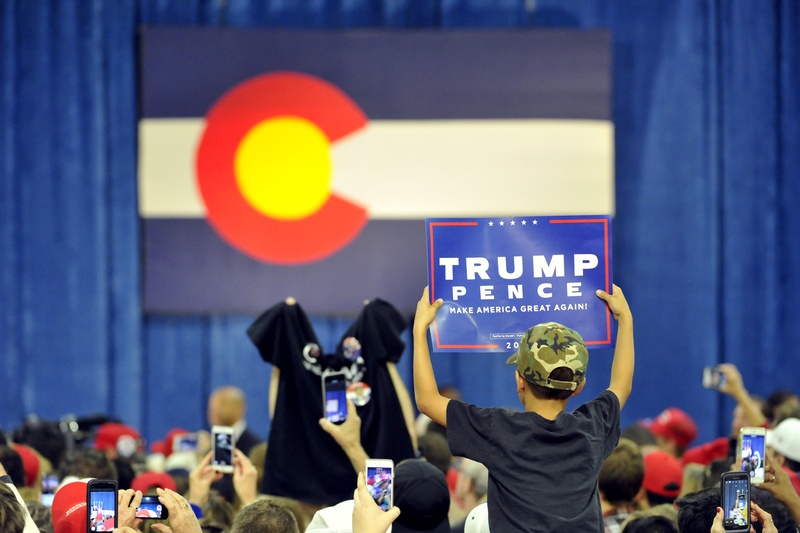 Colorado voters are undeniably eager this year, with 1,034,987 early voters in the swing state this year, compared to 779,361 in 2012. And unsurprisingly, there are important issues to vote on this year, including the End of Life Options Act, universal healthcare, a statewide minimum wage hike, cigarette taxes, property taxes, arts funding, and marijuana consumption — not to mention voting for a new senator and representatives. In addition to, y'know, determining the next President of the United States. Colorado is on everyone's list, as it's one of the most uncertain battleground states this year. (A battleground state or swing state is state where both parties have similar levels of support.) As many as 20 percent of Colorado voters are undecided or looking at third-party candidates. However, unlike in 2012, this year, many of the undecided voters are registered as Republican. For these reasons, up-to-the-minute coverage of the elections in Colorado is an absolute must. Here are some places you can check for current news. The Denver Post covers the Colorado election results and promises to update the numbers as they get them in. It easily lets you filter results by the race type, as well as by county. Politico also offers live coverage of the election with details on the presidential election, the Senate, and the House. SummitDaily is a great place to turn for live election results in the state of Colorado. You can sign up for their live stream and even have an email reminder sent to you when it starts. Denver7 has a live video stream; and while it's not confirmed that this will be used to cover the election on Nov. 8, it's a good place to check, since they'll likely be discussing it in some capacity. The 9News live video stream can be found here. SummitDaily offers a couple options here, as well. They'll provide constant updates on their Facebook page, as well as on their Twitter account. You can also use the hashtag #SummitVotes for specific updates. Politico will likely be updating their Facebook page too. You can tune in to Fox 31 Denver for You Decide 2016: Election Special. The special runs from 6:00 to 9:00 p.m. local time that evening and picks up again at 10:35 p.m. The news will run in between. KKTV11 will start providing up-to-date coverage at 10:30 p.m. local time. KCNC has election coverage from 7:00 to 11:00 p.m.; and Denver7 will have the ABC News Your Voice Your Vote - Election Night 2016 starting at 5:00 p.m. 9News (NBC) has election coverage starting at 5:30 p.m.
AMC Theaters is teaming up with CNN to provide Election Night in America to AMC Stubs members. If you're a member, look for the event in Denver. You can also bring two guests with you. This is perhaps the first time a major movie theater chain has offered such an event.